Ok I am comming to a conclusion that I need help. I simply can't decide what to choose. After my recent crash, I am looking to upgrade my MC jacket and trousers. I am looking for some durable, that is all season, rain resistant/proof, and it must have air vents for hot nordic summer time (aka LA winter temps😉). I want to be able to add 3do pads on shoulder, elbow, back, optional chest, hip and knees. I prefer something that is not all black. Reason Black might look badda.. But it is not practical a hot summer day or at night/dust. So I hope community can diss up something great. Price range about 200-350ish € for jacket and 150-250ish € for trousers. Please none aliexpress or china cheap stuff. I am seeking from a trusted brand. Hopefully sold within EU to not get extra tax on it. Look at Bohn for a shirt. That would work well in warm weather. I have a much smaller budget, otherwise I would be looking at Rev'It! gear. Amazon sells it. I'm riding with a Jofama MC-jacket (Swedish ) with buildt-in protection, though not able to put anything in (by design at least) on my model (Voyage). Its not D3O either. But its possible to get trousers that can be attached to the jacket, and the cost is within your spec, unless you go for the more expensive ones. E.g. Jofama Neptune €149, and trousers at €129 (NEP Pants). My jacket has a vent on the back (haven't tried it in warm weather, so don't know how it will perform) and a removable inner lining. They have different jackets and trousers, and other brandnames (Halvarssons and Lindstrands) in the family. I wanted a light armored jacket to replace elbow pads etc and ended up with this. Ive been pretty happy with it so far and at the lower speeds I go < 15 I think it would provide good protection on elbow, shoulders, and even has a smaller back pad in it. Haven't gotten armored pants yet, nor know if I will. Especially as it heats up. I am almost ready with my research and setling on this jacket and matching trousers. So what do your guys think of this in summer weather? I think the white black version might be in practical compared to grey sand version. It has outer layer, weather layer and then warm layer. The weather and warm layer can act as a wind jacket seperate. @Scatcat and @Marty Backe and @Rehab1 what do you think? Plan is to have 3DO on hip, knees, albow, shoulder, back and chest area. My currect MC jacket and trousers is not possible to open up for airflow and neither weather sealed. So in rain I get wet within 10min of riding. I am a "little" more barrel shaped compared to model. This past hot weekend I was wearing my textile MC jacket. It was certainly OK while I was moving, but it's not looking like a good solution for trail riding where you don't have a lot of air flowing over you. Same with my Leatt 5.5. upper body armor. With all the plastic, it gets warm. For my hot weather riding I'm probably going with the Leatt soft body armor because there's a lot more mesh. It's tough finding good hot weather gear, I'm discovering. This past hot weekend I was wearing my textile MC jacket. It was certainly OK while I was moving, but it's not looking like a good solution for trail riding where you don't have a lot of air flowing over you. Same with my Leatt 5.5. upper body armor. With all the plastic, it gets warm. My my hot weather riding I'm probably going with the Leatt soft body armor because there's a lot more mesh. First off, thank you for your input. Luckily we don't have overheat weather that frequently here in Scandinavia compared to California. If you check video review, both jacket and trousers have air vents you can open up, and not being black should make heat build up less. Being able to remove rain/weather layer should give a little more air flow too. But I guess I only get to know for sure by buying this. Question is if the air vents work at walking speeds and cruising speed. I don't ride that much on mountain trails yet. It is more urban commuting and pleasure cruising. Occasionally a backpack shopping trip. If you check video review you have air vents you can open up, and not being black should make heat build up less. I suspect it'll be great, as long as you have air flow (>30 km/h). This seems to ne what I find fits my request best. They have a cheaper version too but you cant remove rain seal layer on that. 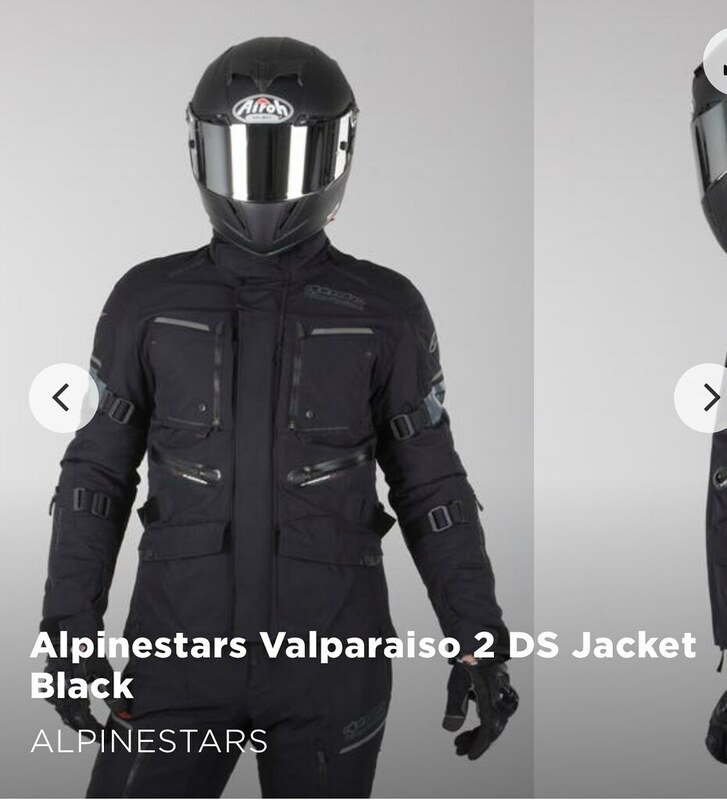 It is called Alpinestar Andes V2. Another option was a Finnish brand called Sweep. But I found the above model to fit better. Time will tell. I will make a review later. Hi @Unventor, I have read your post, and I can only say, that I'm going through very similar doubts regarding what to wear. I was changing my mind frequently, because after few days I wasn't sure if I really like the helmet chosen!? I was placing orders, and then asking sellers to cancel!? So for now, after trying those knee pads, I know what knee pads I prefer, and it will be knee pads with D30 foam protection, slim fit. Also, I'm a big fan of body armour, I think it's great. At the moment I'm just th8nking about it, because I'm amazed by it's quality and slim fit. @PogArt Artur the demon body jacket is probably fine. I do however have similar from POC already. If I were going down that route I would however go for xion protection jacket. Main reason you can take out all 3DO pads as you like. Much easier to wash it. I am though going for a all weather option where I don't need the POC jacket under my MC jacket. Main reason is it don't fitvin a bag when have commuted to whete I need to go. Since I already have that solution, I can always choose it if it gets teally hot. But my recent shoulder accident would have damaged my POC jacket if I only used a t-shirt over it. I kinda slided on the shoulder and backpack. The packpack got a tear breaching the water seal and making a hole in it. My mc jacket didn't show any danaged. That is why I choose to prepare for next incident so I can tumble out of it if that seems to be best choice to avoid major injuries. I try to ride safe, but sometimes something happens that is beyond your control and anticipation. For that I use safety gear to mitigate the risk of major injuries. Better to be safe than sorry. So I gear upost of the time. Any ride longer than 1km is fully geated. I am not familiar with this gear but I do like the the black better. It would be nice to find a place to try gear on before purchasing it. That way you could gain some appreciation of the gear’s protective attributes, fabric, comfort...etc. Will this company add the D30 pads to the jacket or does it come equipped already? I could not tell from what I read. Full protection dress all around. The accident are unpredictable, as you know. I have textile motorcycle jacket, but there's no D30 pads, just normal pads. Motorbike boots, they're for protecting my feet. Always gloves + wrist protections. What exactly happened to you @Unventor? What exactly ﻿happened to you ﻿@Unventor﻿﻿? 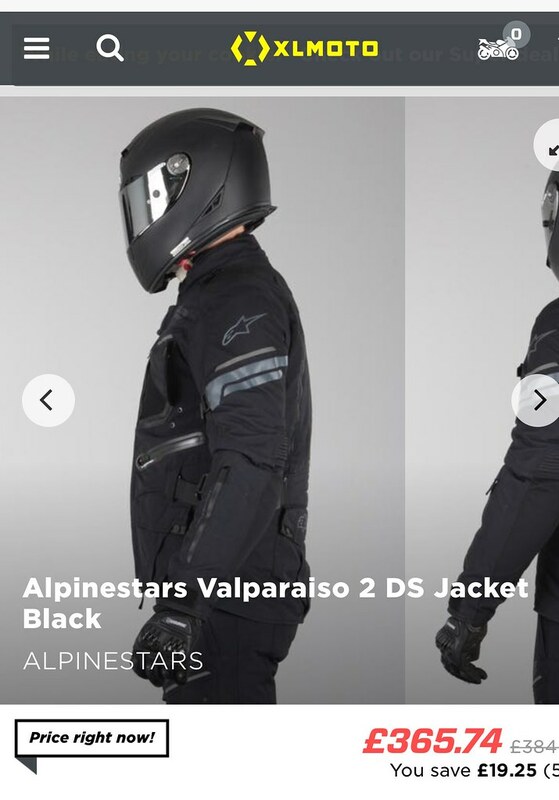 Will this company add the﻿ D30﻿﻿﻿﻿﻿﻿ pads to the jacket or does it come equipped already? ﻿ I c﻿o﻿uld not tell from what I read. I have tried. But it seems distribution chain shifted so it is not easy to find a place locally. I saw the Andes V2 model, 2017 design. The one I posted above is a step up, but 2016 design. My choice of colour scheme is part not to be as hot and part to ne easier to see at dusk and dawn. Black is not fantastic in traffic. Yep shoulder is being more cooperative now. But lifting arm above shoulder is a bit restricted still especially if I stretch put arm to the side and any moment behind me. Also my lifting capabilities is limited above shoulder height. But getting better every day, except I try to push my moment sphere which I tend to push just a bit too far and then pain reside some time after. So the hole point is to be reasonable protected and make it easier to put on and have by me when I commute to cinema or shopping or like going to Denmark by EUC 10km then ferry (3h15m boat ride) then by EUC about 5 km to family party. Then change clothing to formal party. Then return in evening to ferry and late night ride. I'm happily reading positive news, obviously it needs to be some period of time, but hopefully everything is improving regarding your shoulder. I just returned from seeing my Orthopedist. I've seen some great improvement during the last 6 weeks of rehab. He still wants to limit by weight exercise to below the shoulders, for two more months. He said it can take 9-months for all the injured tissues to fully recover. I really hope this doesn't happen to me again Stay safe people. I am not that great a student myself. Most of the healing is done due to time. I am only trying to make sure the shoulder maintain some movement and don't go stiff on me. Well this morning I placed an order on the above MC jacket and trousers and back plate to fit into the jacket. Expected deliver in about 5-6 days. Once I get these I can make an early review a bit later, in case someone find it interesting.